If the required rezoning amendment is approved by the Board of Supervisors, it will set a precedent for similar land sales and rezoning that would declare an open season for developers to negatively impact our rural way of life and water supply forever. Many of us moved out of the city to live here, where the pace of life is slower, safer, more picturesque and enjoyable. Stopping the rezoning protects the future of our rural community! 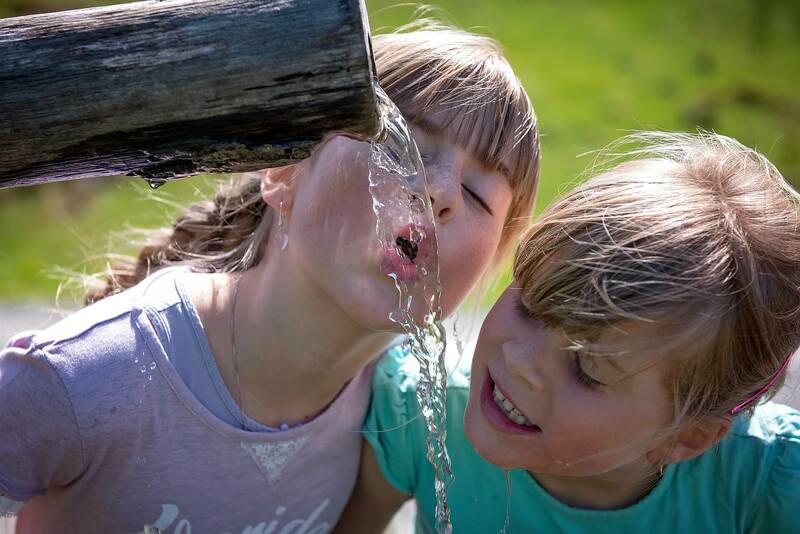 Water is a precious, finite resource in our rural North State communities. Using water responsibly is important for the quality of life for all us, particularly in single and multiple drought years. 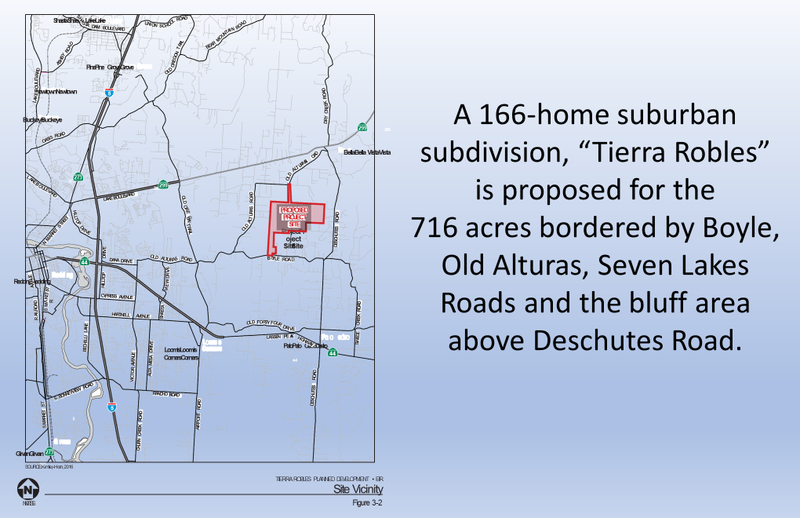 The proposed 166-home Tierra Robles suburban subdivision is expected to will be served by the Bella Vista Water District (BVWD). Tierra Robles is estimated to use 352-acre feet of water per year, which the BVWD does not have in single and multiple drought years through the year 2040, as their data shows that demand exceeds supply. We all know these shortages then get passed down to us in the form of water rationing, increased fees, penalties and in some cases little or no water for agricultural users. Adding demand to an already over committed system is not responsible planning or development! If the District has enough water, then why is the BVWD, City of Redding and Shasta County planners requiring developers to enter into third party water purchases that are also subject to the same cutbacks as those water sources used by the District in single and multiple drought years? Protect our limited water. Say NO to unsustainable water demand and the Tierra Robles subdivision. Protect Our Water – Say NO to Tierra Robles! April 18 2018 Traffic Jam on Deschutes. Tierra Robles is expected to balloon our narrow and winding roads with 1,774 added daily trips from at least 332 more cars. 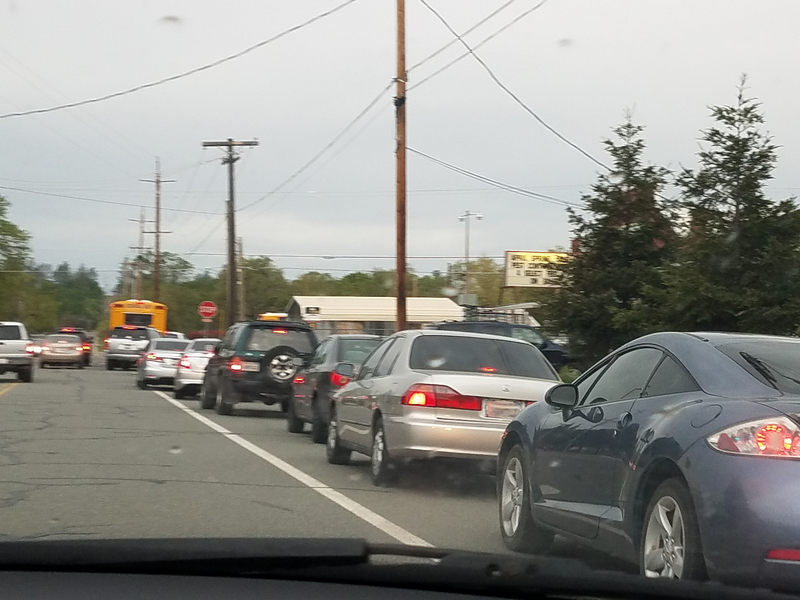 During the school year, hundreds of extra vehicles pour into Palo Cedro from Redding and the surrounding areas, resulting in morning and afternoon traffic patterns and volumes that impact roadway speeds, intersection safety and congestion. The County’s traffic study alleges area roads meet minimum standards. However, if you drive, bicycle or walk these roads you know the dangers of little or no road shoulders, excessive roadway speeds, the difficulty of exiting and entering from side streets, and cars frequently crossing the mid line. Adding traffic circles, a few warning signs and a four-way stop at a curving intersection, mostly at tax payer expense, won’t lessen the negative impact of this subdivision. Real problems are not addressed, such as on Boyle Road where no dedicated turn lanes are planned to regulate turning into and out of the subdivision’s main entrance, making for a dangerous intersection. 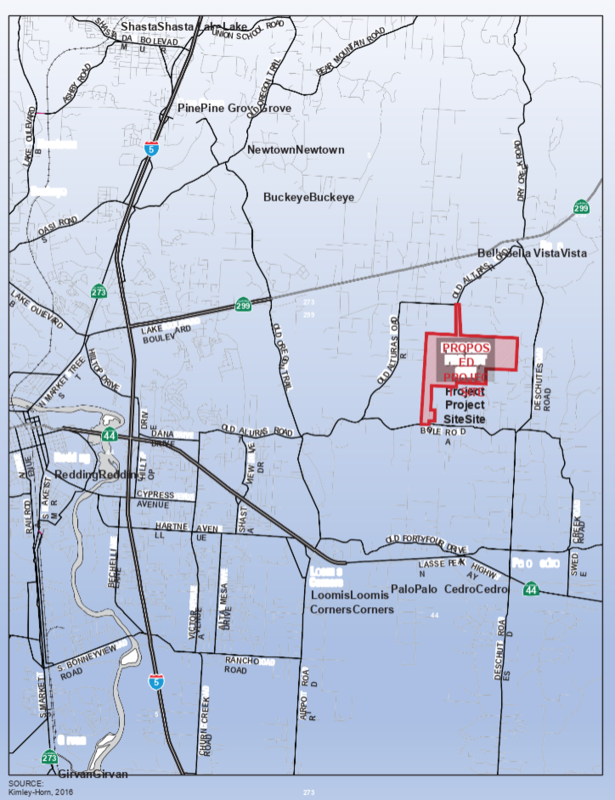 Given the recent traffic nightmares associated with the CARR and CAMP fires, Palo Cedro evacuation routes, plans and load capacities must be reviewed and revised now to ensure that another 166 homes and 332 more cars won’t overwhelm the limited two lane feeder roads that border the new subdivision. The Draft and Final Environmental Impact Reports don’t even address these new wildfire realities. There are at least 315 existing homes and 630 cars that feed onto Boyle Road now. How can Boyle safely accommodate another 332 more cars? Keep our roads, intersections and evacuation routes less congested and safer – Say NO to Tierra Robles! The Tierra Robles soils won’t percolate or absorb liquids like traditional home septic systems! They propose a “community waste treatment system” requiring each home to have a dual septic tank system. This arrangement would permit untreated/contaminated grey water from bath tubs/showers to be voluntarily diverted by the homeowner for their landscape irrigation system, rather than flowing to the community waste treatment system. This means untreated waste could make its way into the area’s groundwater and surrounding wells. 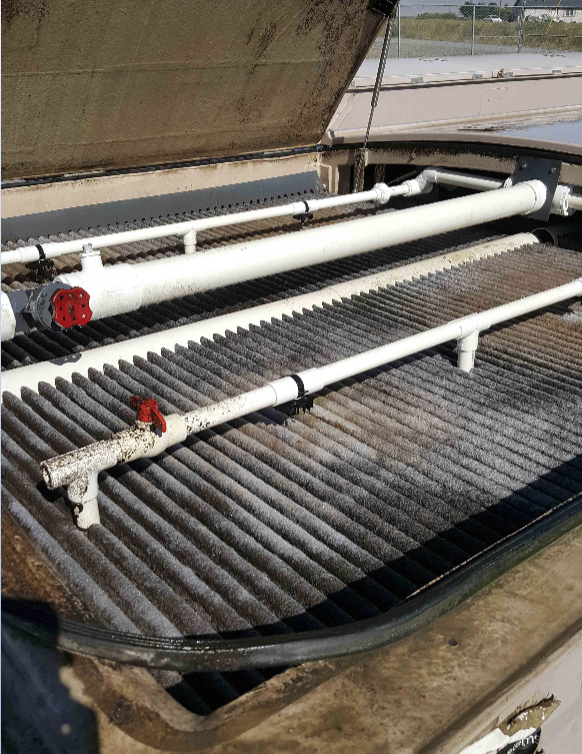 If not diverted, all grey and black waste water will flow to the modular community system, where after treatment and disinfection it will be pumped to a drip dispersal system within the development’s roadway medians. The soils may be able to absorb the effluent in the dry months, but when the ground is saturated in the rainy season it will likely overflow into our local creeks and streams. This type of onsite community wastewater/septic and drip effluent dispersal system would be the first of its kind in Shasta County. The operations, maintenance and monitoring of this highly technical system would require the formation of a new, possibly overtasked and underfunded COMMUNITY SERVICES DISTRICT (CSD) which could revert back to County and Board of Supervisor control and taxpayer responsibility should there be unforeseen financial or technical issues. The CSD is also tasked with road and storm water system maintenance, the Wildland Fuel/Vegetation Management Plan, the Oak Woodland Management Plan, Open Space and Resource Management Area management and oversight, the Development Design Guidelines and providing funding in perpetuity for offsite conservation easements. This “Super HOA” could become a nightmare for the County if it can’t meet all these required responsibilities. Keep septic waste water out of neighboring backyards, wells and waterways – Say NO to Tierra Robles! We continue to wait for the County’s release of the Final Environmental Impact Report (FEIR) before it goes to the Planning Commission and Board of Supervisors. We still need to be vigilant and attentive in the near future if we are to protect our rural way of life. The FEIR is still being compiled, and the County will likely not release it for a Planning Commission Hearing in the first three months of 2019. There is a “possibility” that the FEIR Traffic study might be revised, requiring a new public comment review period that could delay the FEIR release. If there is no Traffic study revision, then the FEIR release and Planning Commission Hearing might take place sometime after April 2019. Nothing is definite. When the County releases the Final Environmental Impact Report we will send out an Action Notification email to everyone who has signed up for updates, as well as, posting on Nextdoor.com and on Facebook, https://www.facebook.com/norezoning166Homes/. As of today, we are awaiting the County Planning Department to release the Tierra Robles Final Environmental Impact Report (FEIR) for the start of a promised 40-day public review period before it goes to the Planning Commission and then to the Board of Supervisors for a final vote. The FEIR will contain the County’s responses to the 80 plus public and governmental agency comments received for the October 2017 Draft Environmental Impact Report. With the release of the FEIR the community will be able to submit written feedback to the Planning Commission and Board of Supervisors, as well as, verbal comments at the Planning Commission and Board of Supervisor Hearings. We will advise of the release of the FEIR and dates for the yet to be determined Planning Commission and Board of Supervisor Hearings. 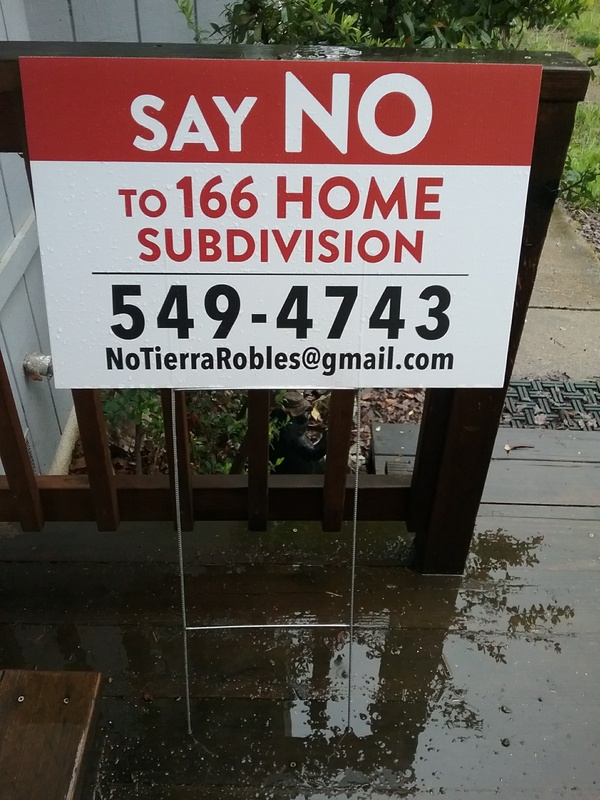 1.COMMUNICATE TO ALL THE SHASTA COUNTY BOARD OF SUPERVISORS URGING THEM TO VOTE NO ON THE TIERRA ROBLES SUBDIVISION. CLICK HERE TO SEND ALL THE SUPERVISORS AN EMAIL NOW OR DOWNLOAD THE LETTERS FOR MAILING. 2. COMMUNICATE TO ALL THE COMMISSIONERS OF THE SHASTA COUNTY PLANNING COMMISSION URGING THEM TO NOT RECOMMEND THE TIERRA ROBLES SUBDIVISION TO THE BOARD OF SUPERVISORS. CLICK HERE TO SEND ALL THE COMMISSIONERS AN EMAIL NOW OR DOWNLOAD THE LETTERS FOR MAILING. 4. JOIN THE PATROL ACTION NOTIFICATION EMAIL LIST TO GET THE LATEST UPDATES AND HEARING ALERTS. CLICK THIS LINK TO ADD YOUR NAME AND EMAIL ADDRESS OR call 530-549-4743. 5. WHEN NOTIFIED, SHOW UP AND SPEAK OUT AT PLANNING COMMISSION AND BOARD OF SUPERVISORS DECISION HEARINGS. 6.“PUT YOUR MONEY WHERE YOUR HEART IS” CAMPAIGN – HAVE YOUR MONEY MAKE A DIFFERENCE! DONATE $100 OR WHATEVER YOU CAN AFFORD TO FUND PATROL’S COMMUNITY OUTREACH AND REMY MOOSE MANLEY LLC LEGAL EFFORTS. 7. VOLUNTEER YOUR TIME TO DO WHAT’S WANTED AND NEEDED. ONLY A FEW HOURS A WEEK COULD MAKE ALL THE DIFFERENCE! Call 530-549-4743. Click a name below to download a personalized letter, or fill out the form to send them an email now. To read this letter, click this link. HOW WILL PATROL USE YOUR DONATION? 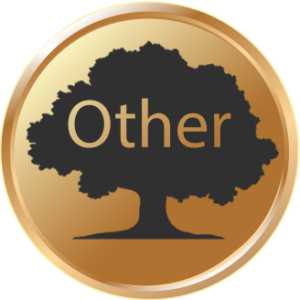 Protect Against Tierra Robles Overdeveloped Lands (PATROL) is an unincorporated association of Shasta County residents who oppose the Tierra Robles Planned Development Project. All our activities are designed to educate and inform, empower and activate community participation in opposing Tierra Robles. All PATROL actions are guided by a volunteer, eight to ten-person Steering Committee. We oppose this suburban subdivision development not because we are opposed to growth or progress, but because unchecked, “leapfrog” development, with little or no County infrastructure improvements is detrimental to our rural community and way of life. This project as currently designed does environmental harm to our community. Have RMM review the Final Environmental Impact Report (FEIR) for the Project and submit comments to the County on PATROL’s behalf regarding the adequacy of the FEIR and the County’s compliance with CEQA. Direct funds, if warranted, for a ballot referendum and for advertising, printing, mailings and postage, signage, and the cost of sponsoring functions directly related to opposing the Tierra Robles Planned Development. Utilize RMM or another specialized attorney, at PATROL’s request, to provide advice and services regarding requirements under the State Election Code to explore pursuing a ballot referendum should a final decision by the County Board of Supervisors approve the proposed project and rezoning amendment. Amend, if necessary, PATROL’s retainer agreement with Remy Moose Manley as it does not include the filing of a lawsuit challenging the project or representation during any subsequent litigation. However, both RMM and PATROL’s Steering Committee would have to agree to amend the retainer agreement. 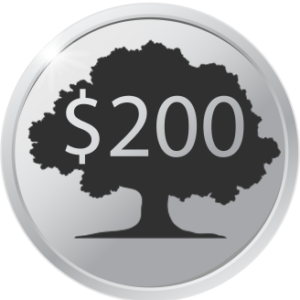 All donated funds are deposited with Tri-Counties Bank in Palo Cedro. 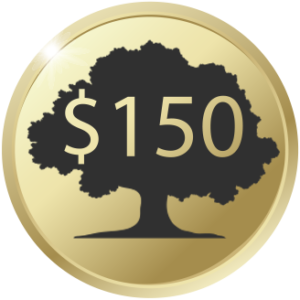 NOTE: All donations are NOT tax deductible and are non-refundable. Any unused monies at the completion of our efforts will be donated to the Palo Cedro Community Park. THANK YOU FOR JOINING THE PATROL TEAM TODAY!